Make your fairy-tale fantasies a reality in this opulent National Landmark, located in the trendy Gaslamp Quarter. 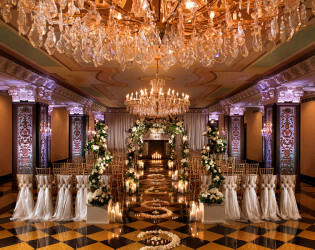 Indulge in delectable dishes, celebrate in a Speakeasy, and dance the night away beneath sparkling chandeliers in one of the six romantic ballrooms of this legendary hotel. 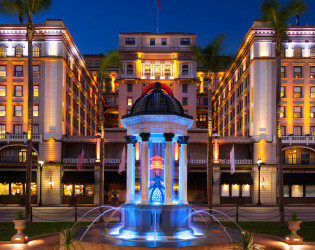 THE US GRANT weaves its storied legacy into an exceptional event experience. 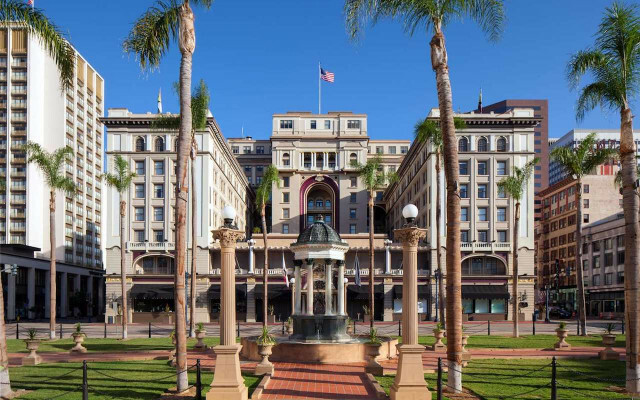 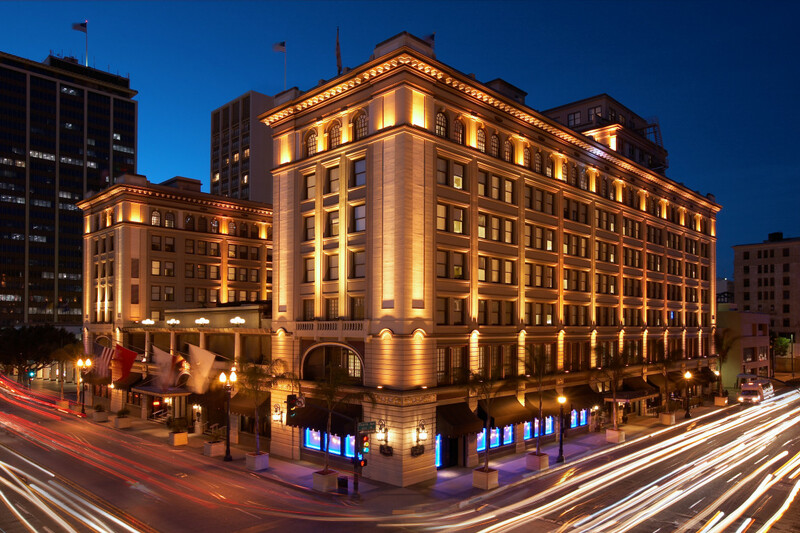 Built in 1910 by the son of President Ulysses S. Grant, the hotel is a National Landmark that crowns Downtown San Diego's city center. 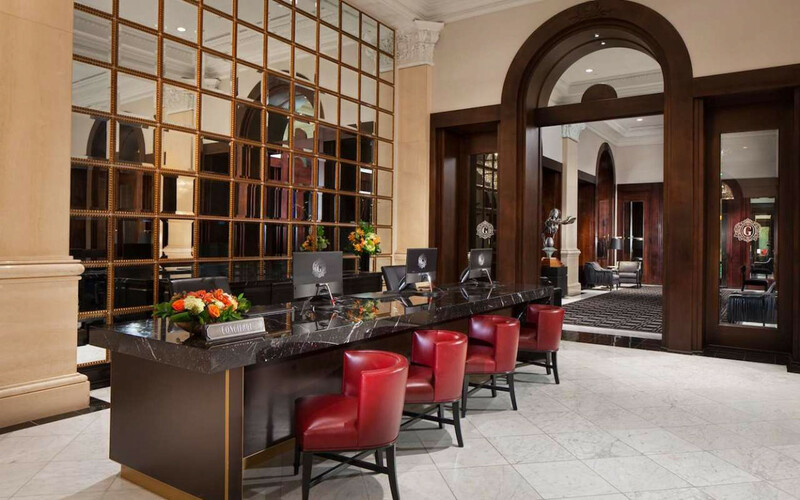 The storied setting is just the beginning, as guests will relish in the hotel's award winning food and beverage offerings, and rely on the expertise of the staff who carry on a longstanding tradition of service excellence. 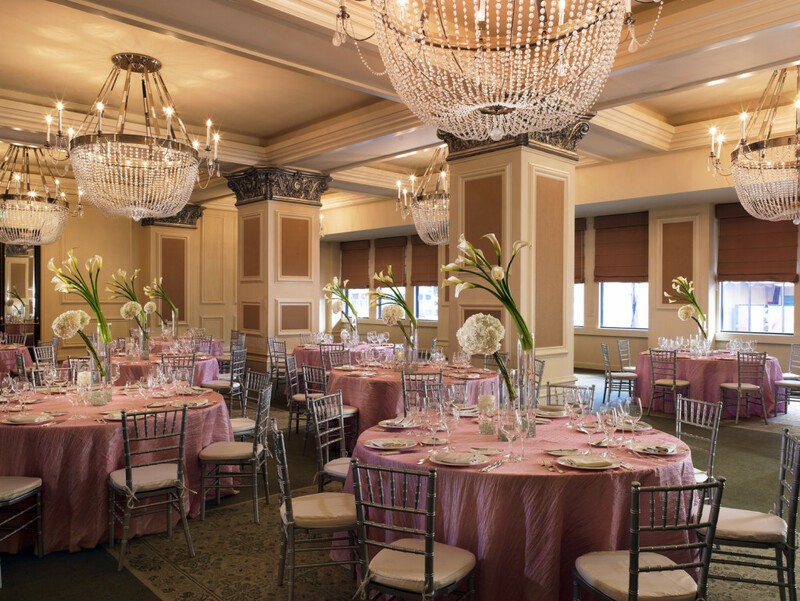 Celebrate intimate events ensconced in the romantic elegance of the Crystal Ballroom, captivate your audience in the spacious Presidential Ballroom, sparkle in the natural light and crystal chandeliers of the Palm Court, or be surrounded by storied legacy in the atmospheric Celestial Ballroom - which historically served as the hotel Bivouac dining room before being turned into a Speakeasy during Prohibition. 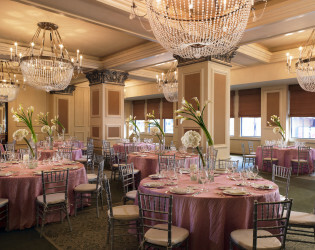 Boasting 33,000 square feet of event space set across 22 unique venues that includes 4 stunning ballrooms, THE US GRANT is the city's premier meeting and event destination. 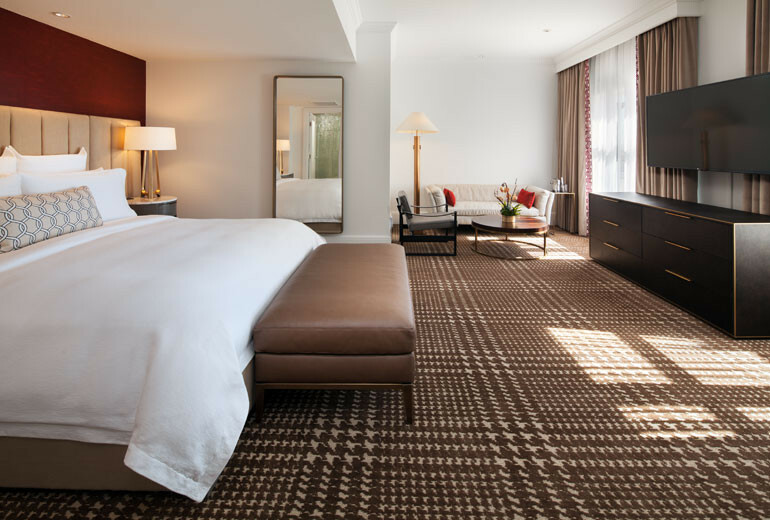 Meanwhile, the 270 guest rooms and suites offer a sumptuous retreat for event planners and attendees to stay just an elevator ride away from the festivities. 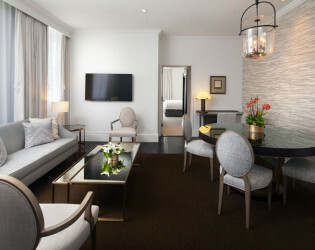 Tax and Service Charge are additional. 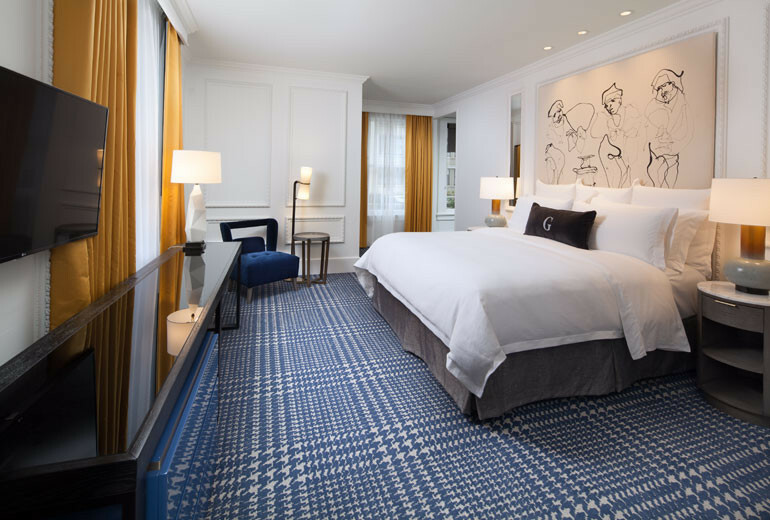 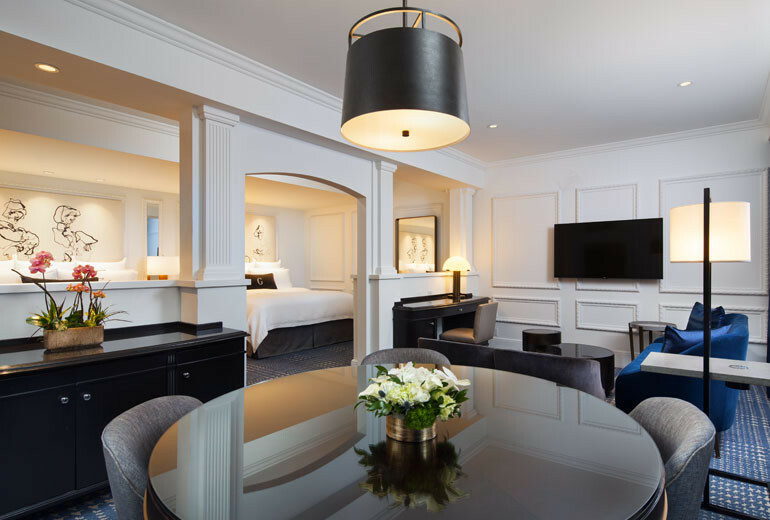 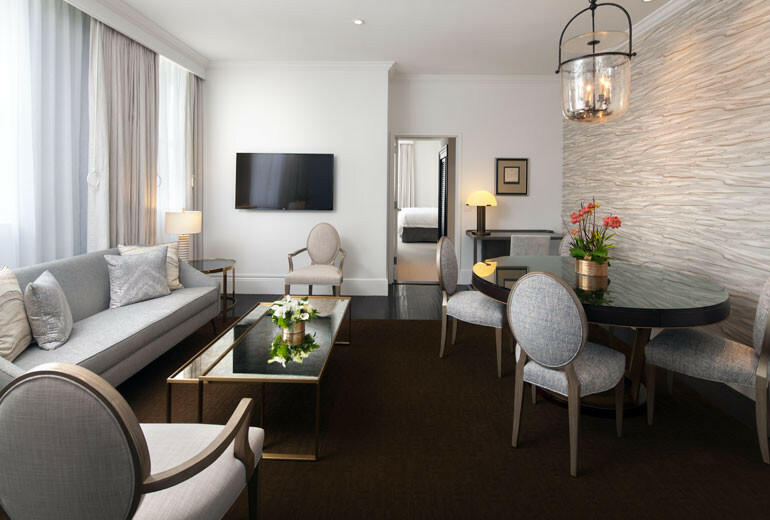 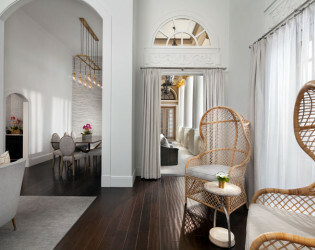 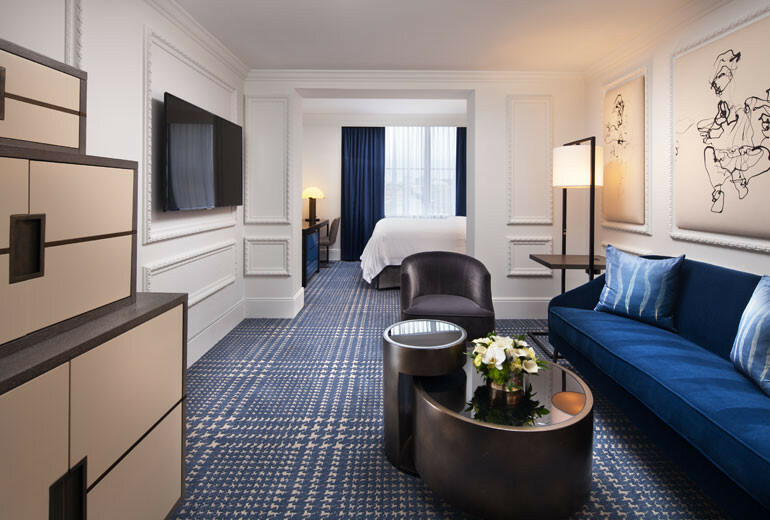 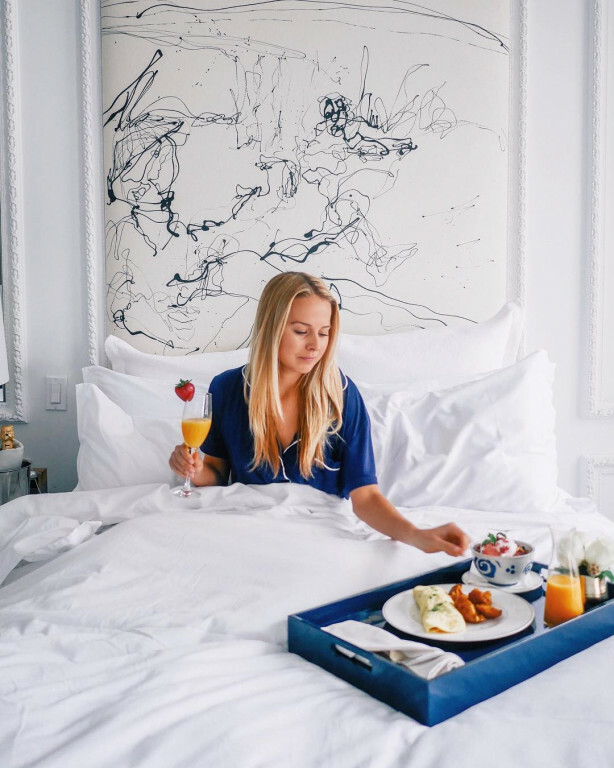 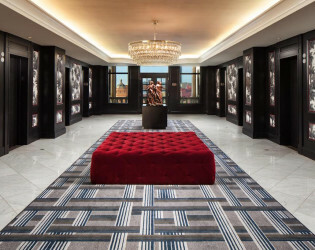 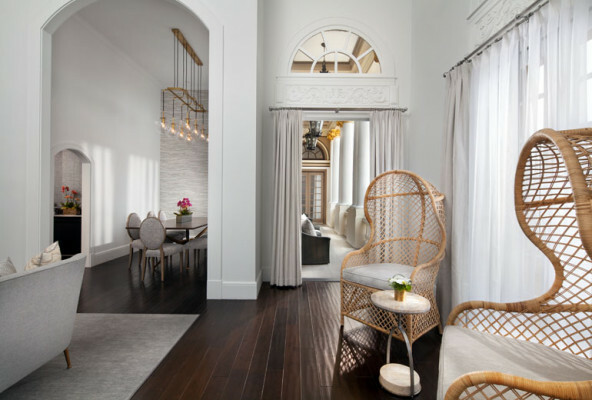 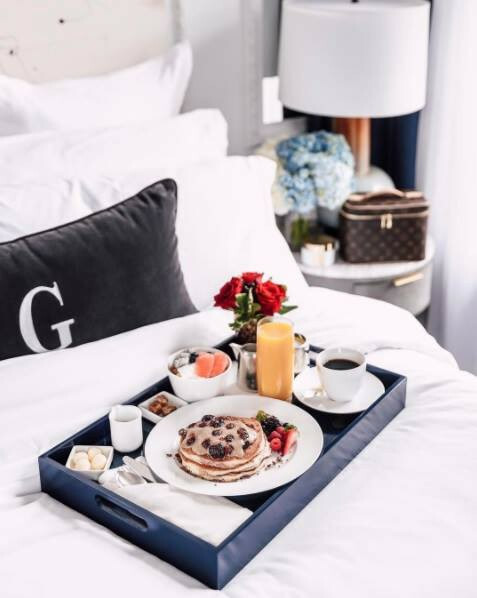 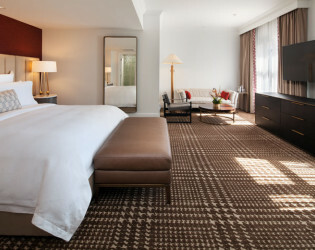 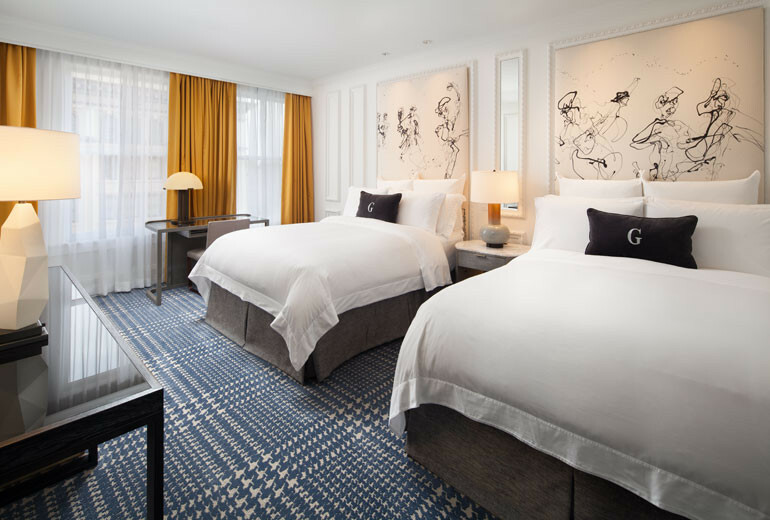 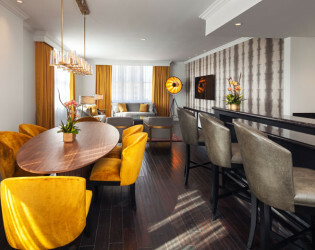 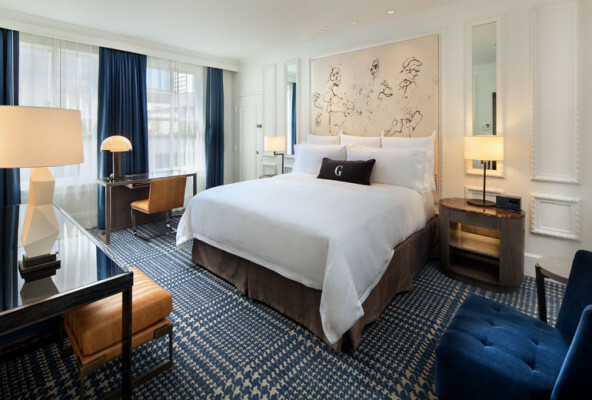 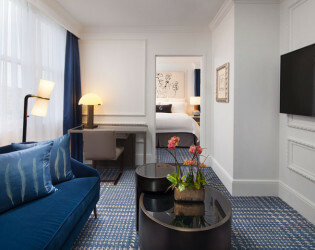 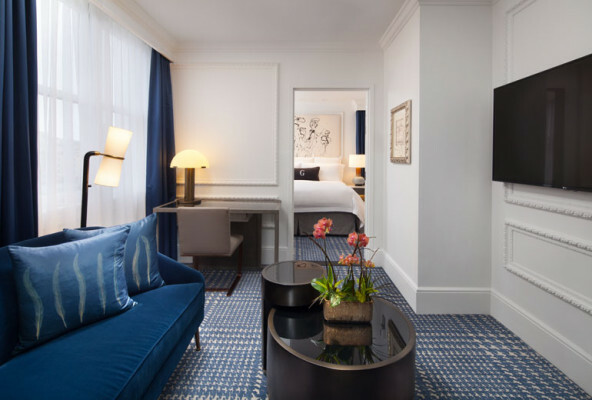 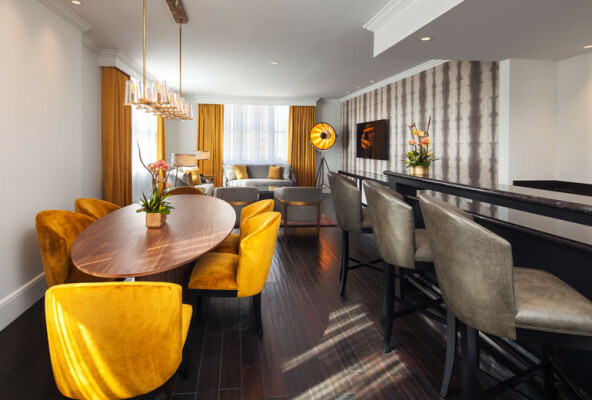 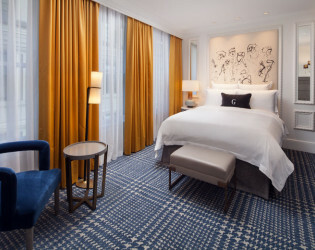 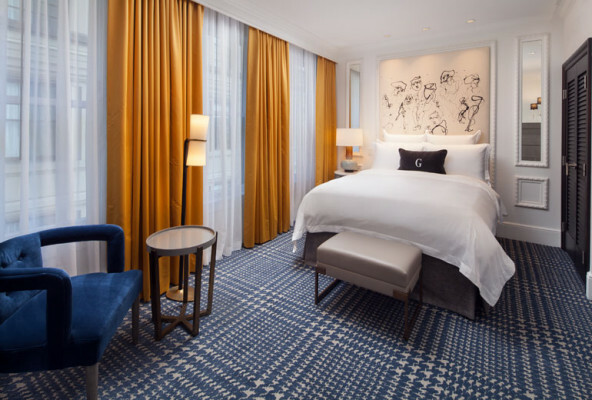 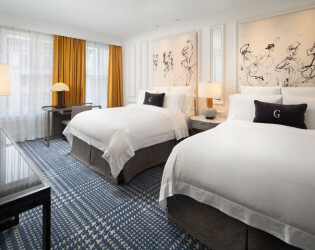 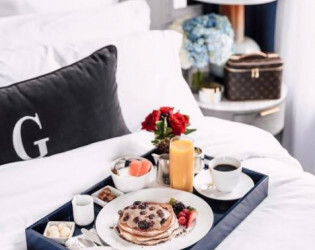 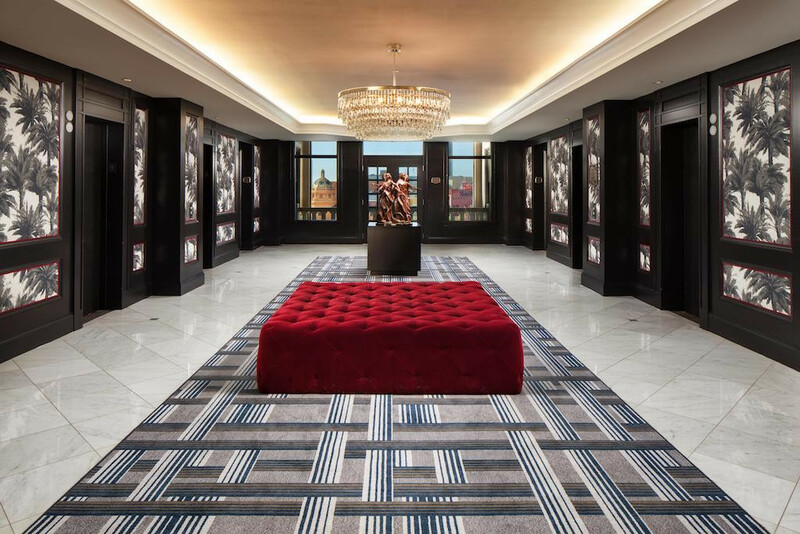 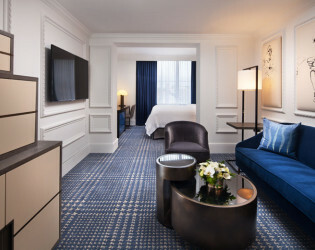 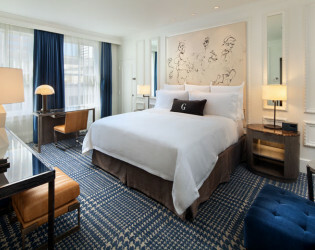 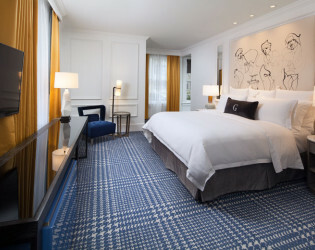 THE US GRANT hotel boasts 270 guest rooms, including 43 suites, each of which encapsulates extraordinary experiences, effortlessly weaving modern comfort, indigenous accents and refined luxury. 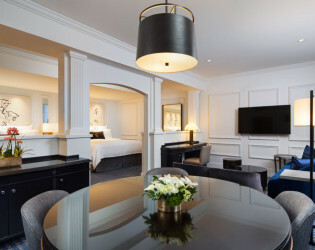 For the ultimate indulgence, select one of THE US GRANT's 3 Presidential Suites, boasting views of the Downtown cityscape, San Diego Bay and beyond. 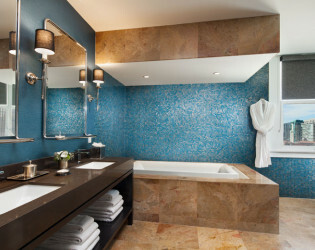 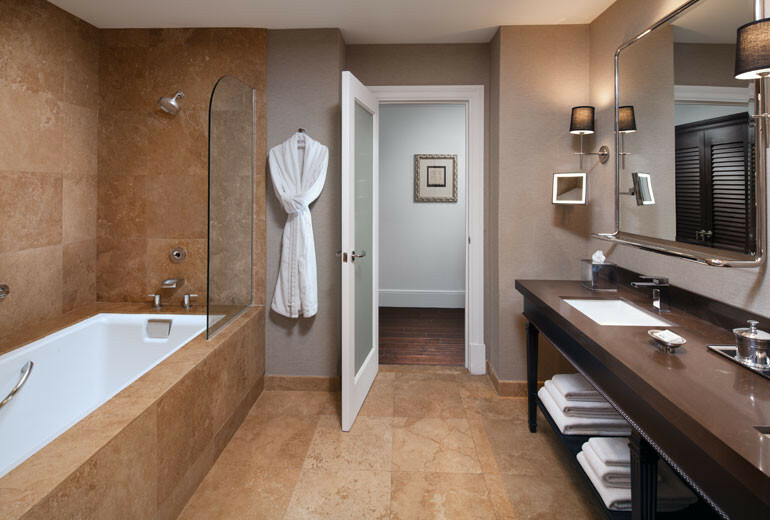 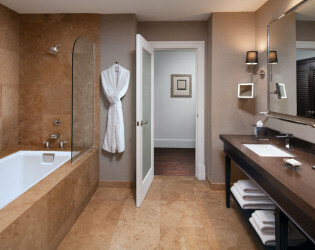 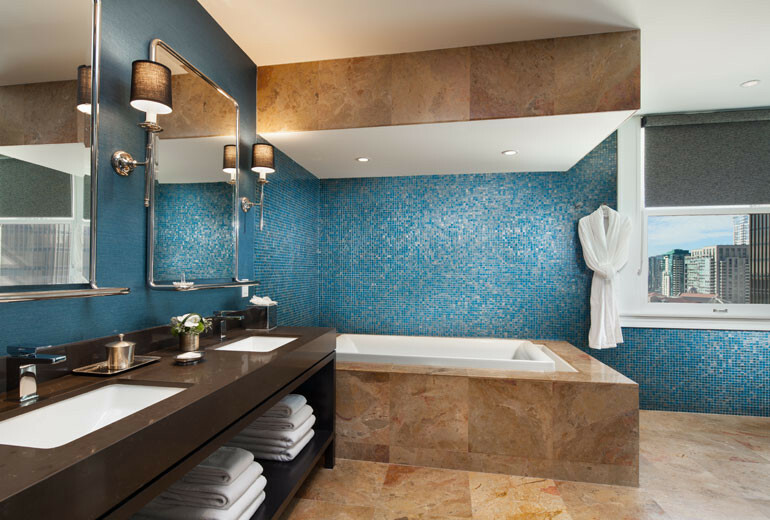 Bridal and Groom's dressing rooms are also available, separate from our guest rooms and suite options. 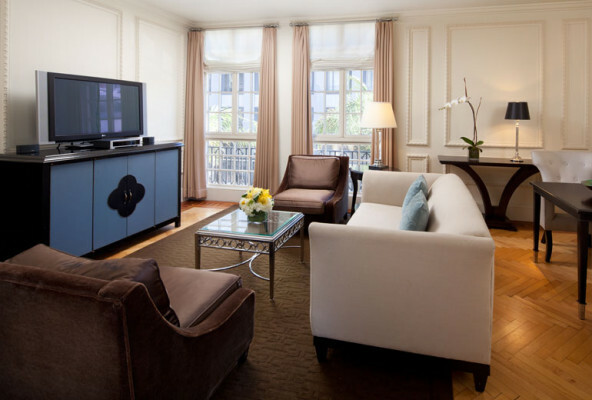 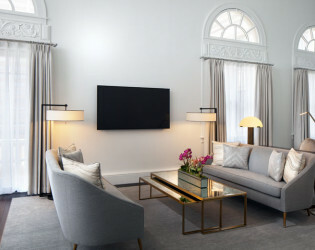 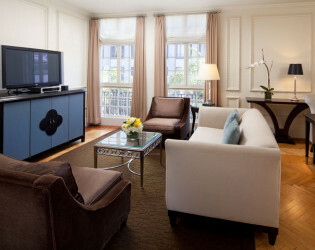 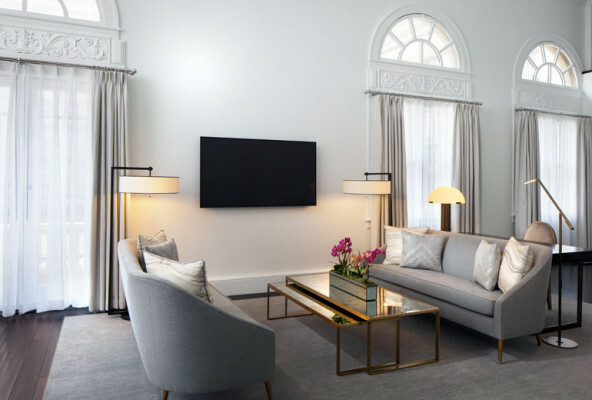 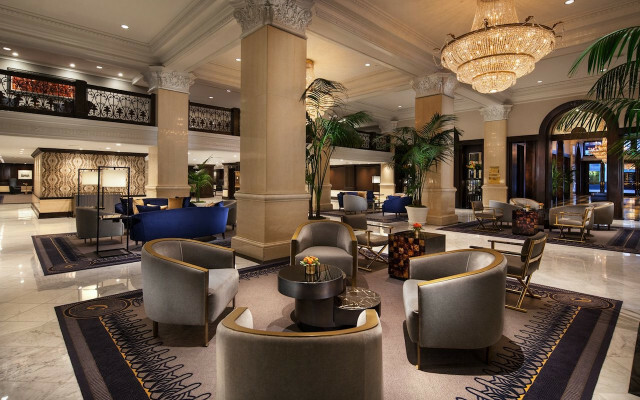 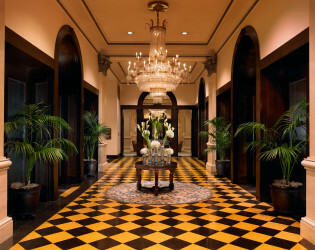 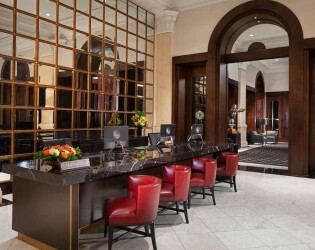 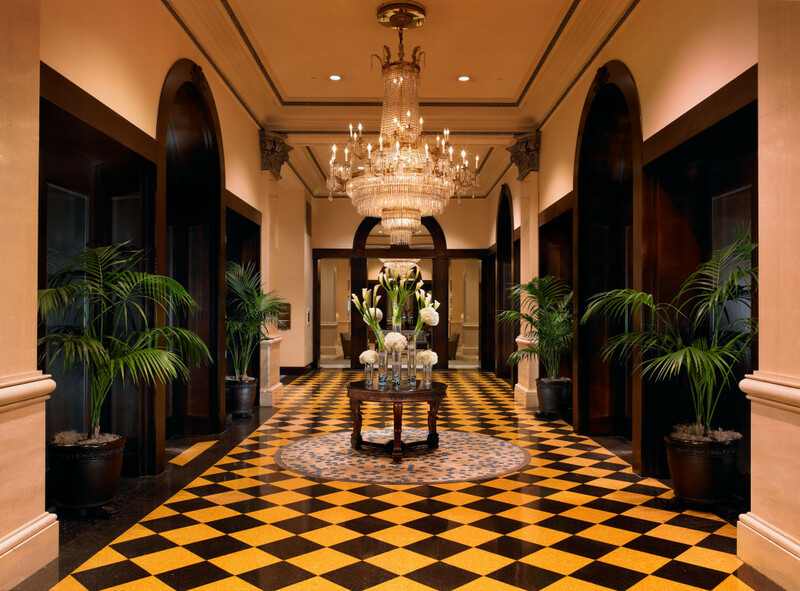 Rich in history, the most requested spaces are the Chaffee Court which historically served as the hotel's Ladies' Lounge, and the Chairman's Court which historically served as the Men's Smoking Lounge. Timeless elegance exudes from THE US GRANT. The historic architecture makes a grand statement in the center of Downtown San Diego, designed by famed architect Harrison Albright in 1910. Upon entering the Grand Lobby, you are ensconced in a world where historic details are effortlessly weaved with modern design as sparkling chandeliers dangle from above. 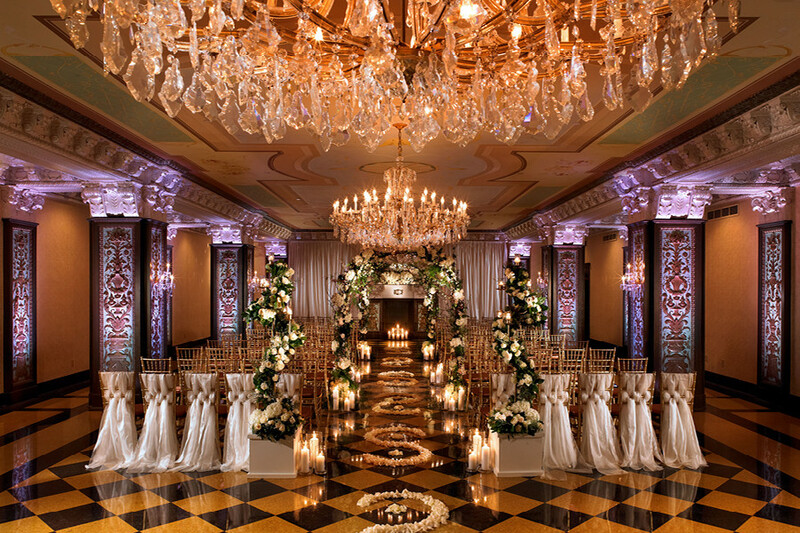 Among our most requested spaces, the four ballrooms are each distinctive in style - yet all are equally impressive, rivaling Hollywood's grandest sets. From the black and gold travertine tiles to the hand-painted ceiling, no detail in the aply named Crystal Ballroom has been overlooked. 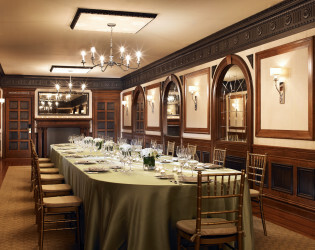 The vaulted ceiling of the Crystal Ballroom - which historically served as a Speakeasy - adds dramatic flair to any event. 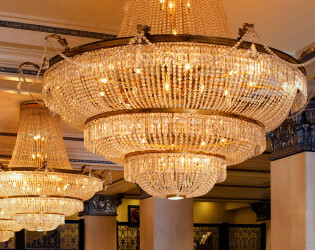 Four chandliers and a row of windows radiate the lobby-level Palm Court ballroom. 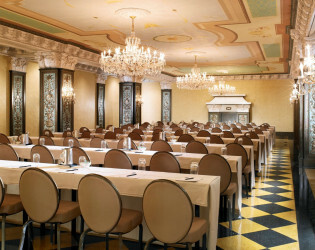 The hotel's largest event space - the Presidential Ballroom - is a regal backdrop, befitting of its name which honors the 14 U.S. Presidents who have stayed at the hotel. 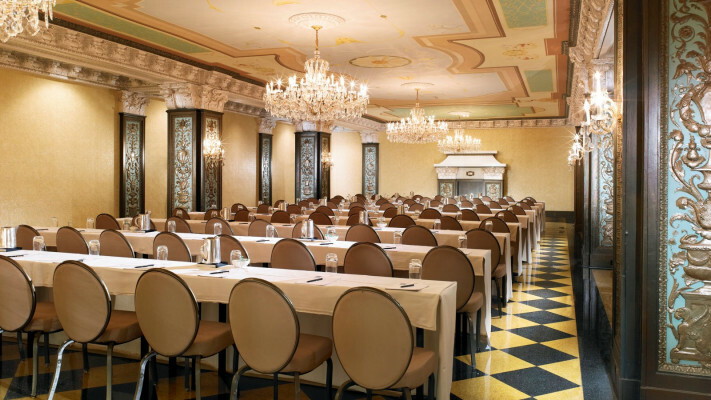 THE US GRANT's food and beverage program is second to none! 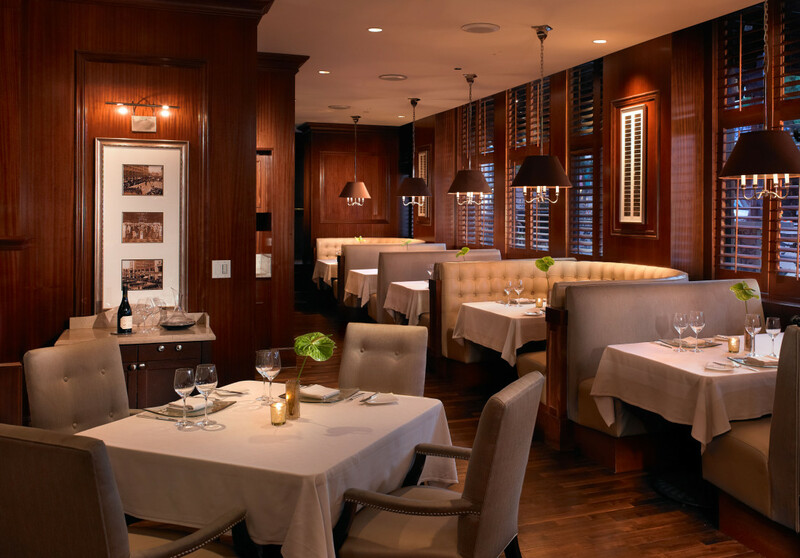 Executive Chef Mark Kropczynski takes pride in creating the perfect menu to match your individual style, budge and epicurean desires. 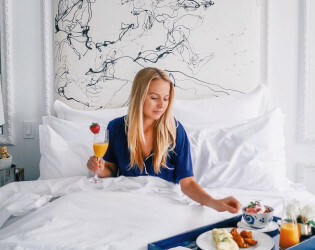 From the traditional to the disctinctive, our menu offerings will entice even the most discerning palates.In complement, our beverage program is designed by the world's only tri-title beverage expert - Master Mixologist, Sommerlier and Cicerone Jeff Josenhans. 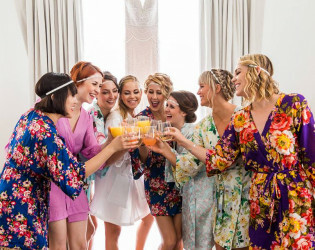 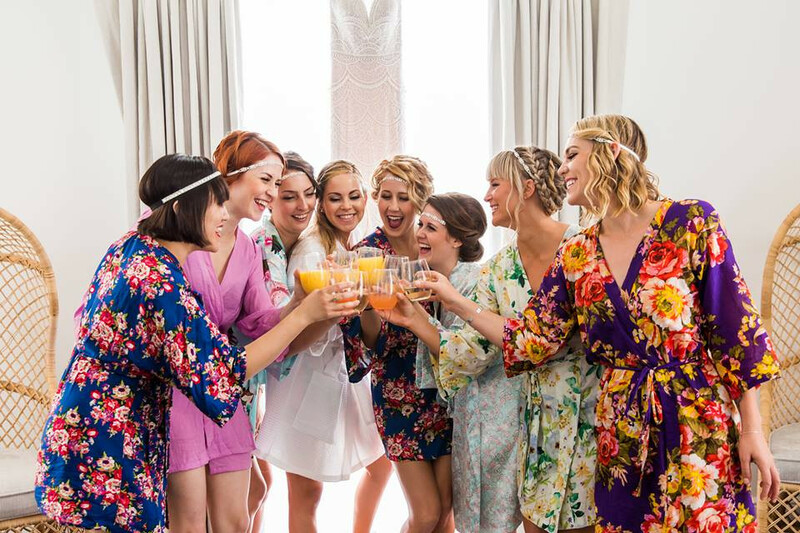 Our Vintage Wedding Package has been designed to offer couples everything you need to plan an exceptional celebration in one complete package, including: reception venue, chiavari chairs, floor length satin linens (20+colors), specialty cocktails, prosecco toast, hors d'oeuvres, two-course plated dinner, preferred guest room rates, and more! 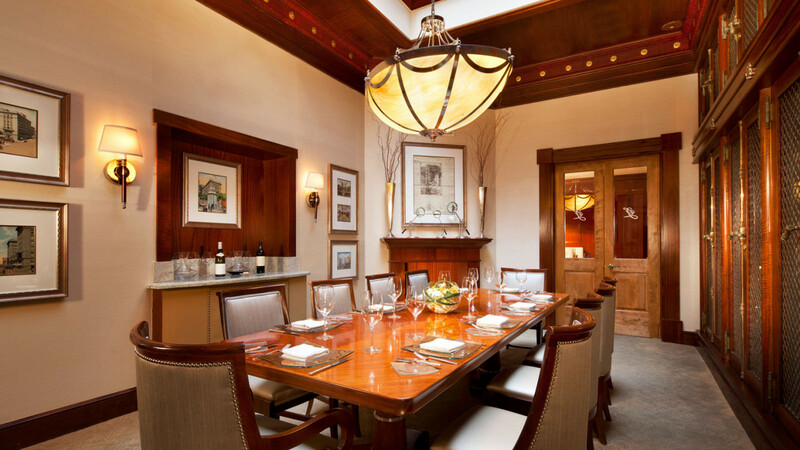 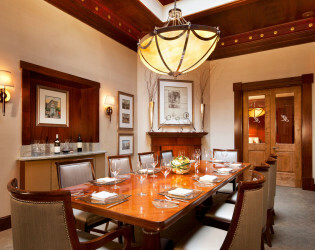 Grant Grill guarantees a remarkable dining experience. 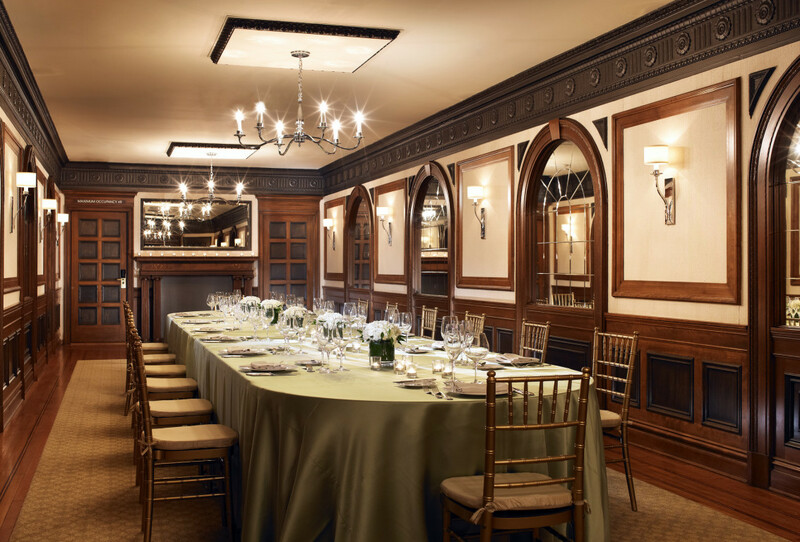 From the sumptuous surroundings – including classic mahogany wood, fleur de lis banquettes, and white linen-topped tables – to the world rewnowned beverage program, Grant Grill carries a tradition of excellence since opening its doors in 1951. Serving breakfast, lunch and dinner daily, Grant Grill’s menus set the standard for San Diego fine dining with approachable epicurean elegance, highlighting only the freshest of ingredients, prime meats and Pacific seafood. 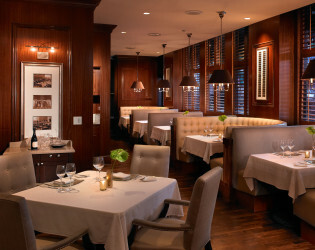 Compliment your meal with Grant Grill’s extensive wine list, local beers and craft cocktail collection. 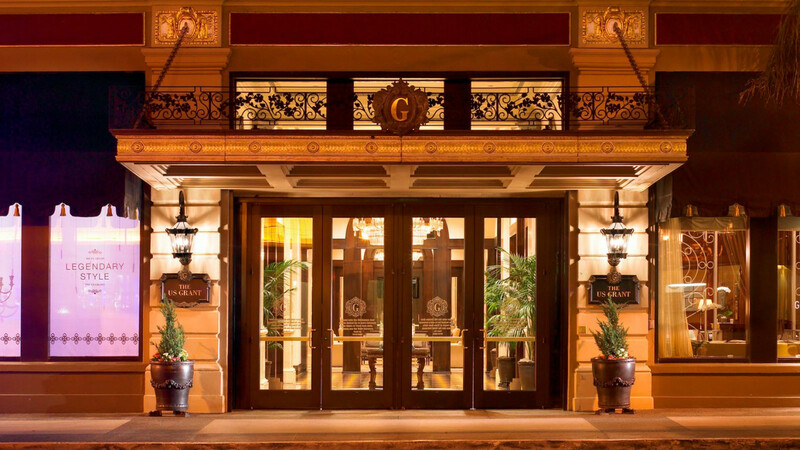 Grant Grill has garnered national acclaim with accolades that include a 4-Diamond rating from AAA and a Wine-Spectator Award of Excellence. 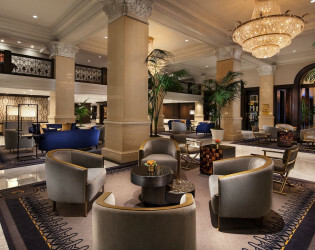 Named one of the "Best Hotel Bars" in the Nation by Food & Wine, The Grant Grill Lounge offers a unique Gaslamp Quarter experience, equally tantalizing for late-night revelry or mid-day happy hour. 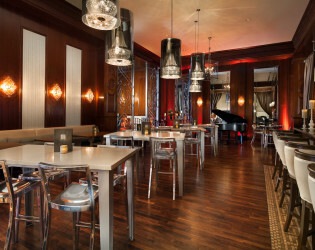 With Mixologist, Sommelier and Cicerone Jeff Jesenhans at the helm of the beverage offerings, signature drinks include US GRANT exclusives like the 100 Day Barrel Aged Centennial Manhattan and Silver Medal award-winning Genepi Americana, as well as an impressive collection of fine wines and craft beers. Seasonal cocktails curated by Chef de Bar Cory Alberto are each hand crafted with meticulous attention to taste and presentation. 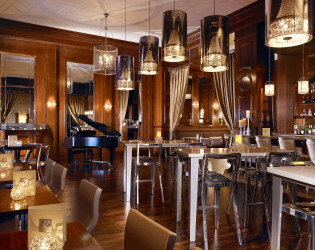 The kitchen serves lounge cuisine until midnight, with cocktail service continuing afterwards. 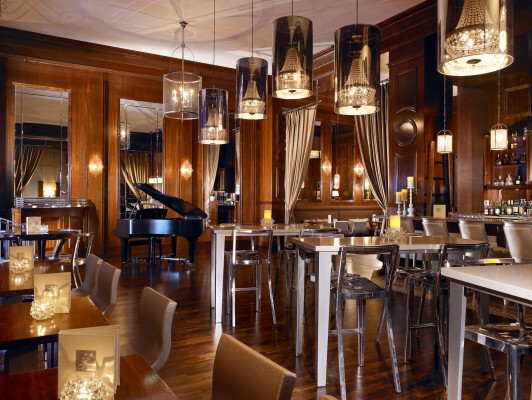 Happy hour is offered Sunday-Thursday from 4-7PM. 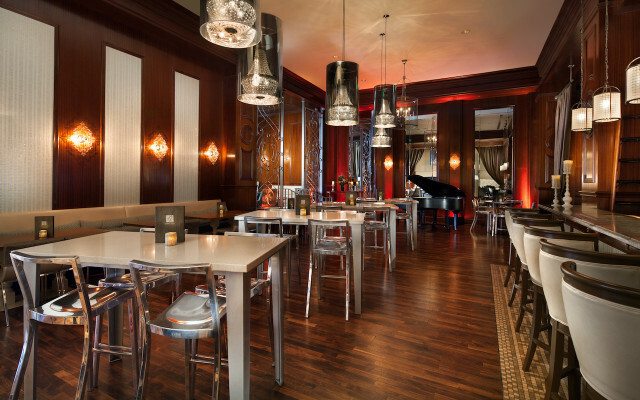 Entertainment includes live jazz, blues, pop and rock Thursday-Saturday nights beginning at 8pm. 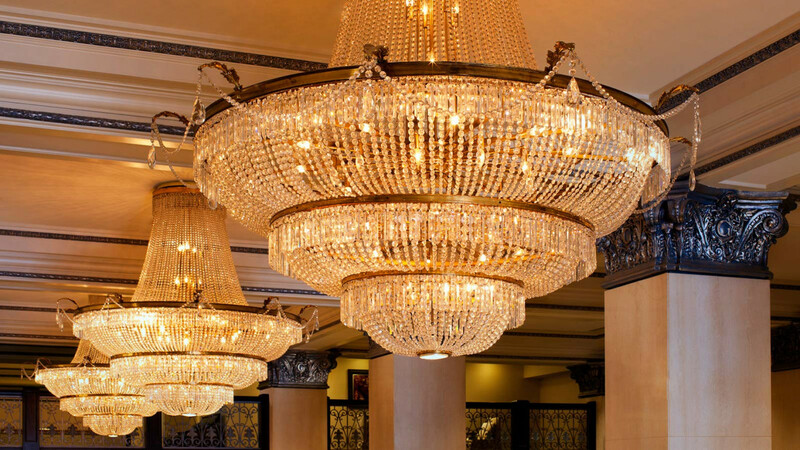 Timeless elegance exudes from THE US GRANT. 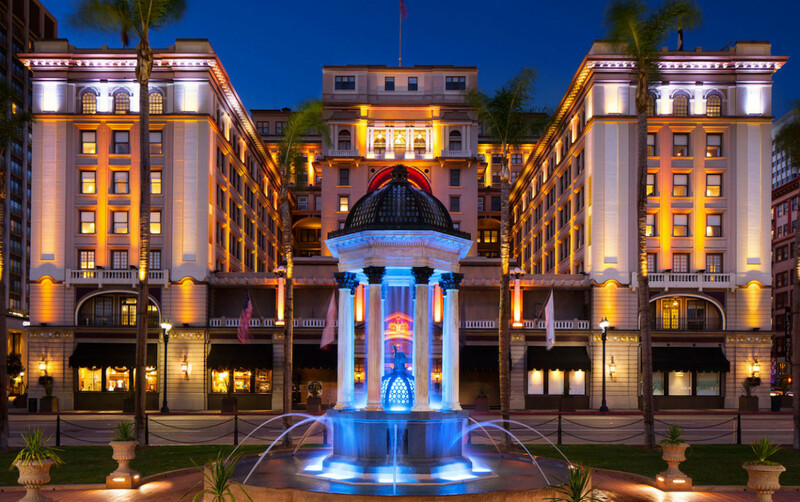 The historic architecture makes a grand statement in the center of Downtown San Diego, designed by famed architect Harrison Albright in 1910. 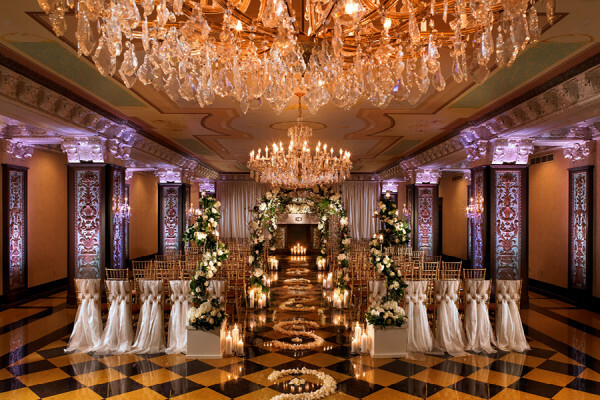 Among our most requested spaces, the four ballrooms are each distinctive in style - yet all are equally impressive, rivaling Hollywood's grandest sets. Historic charm in the Chairman's Court. Whimsical romance in the Crystal Ballroom. 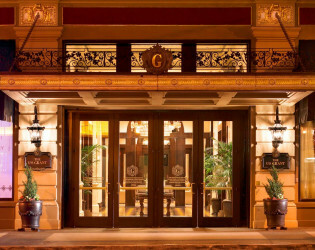 Grant Grill - one of San Diego's "Best Restaurants"
Grant Grill Lounge - one of the Nation's "Best Hotel Bars"
Upon entering the Grand Lobby, you are ensconced in a world where historic details are effortlessly weaved with modern design as sparkling chandeliers dangle from above. 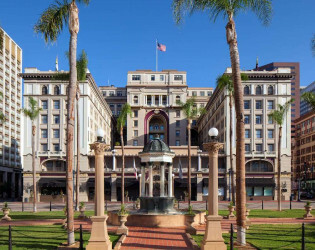 THE US GRANT Hotel - A San Diego Icon Since 1910. 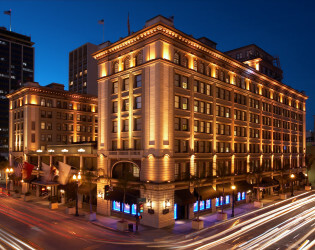 The US GRANT Hotel at night.